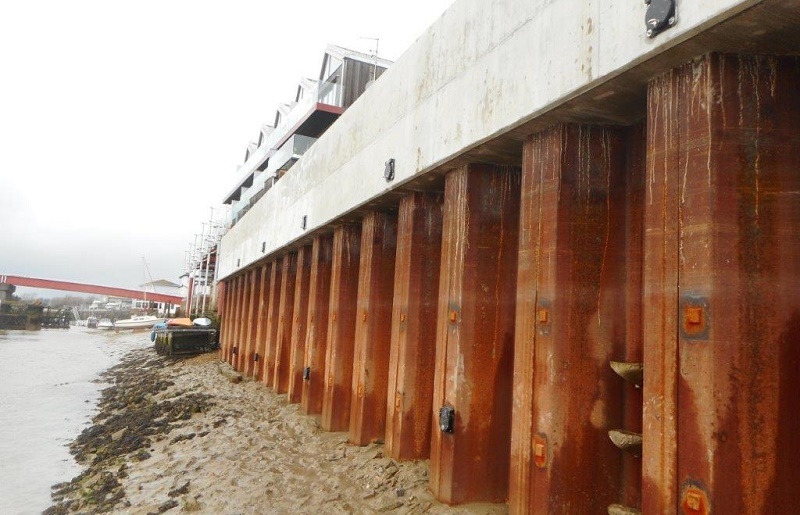 Team Van Oord has completed a project to fill a 28-metre gap in the flood defences in the West Sussex town of Littlehampton – in turn reducing the flood risk for 2,000 homes. Working on behalf of the Environment Agency, the £680k, 20-week project included organising the planning application and producing the detailed design, followed by installation of a sheet piled wall and concrete capping beam alongside the River Adur. The piles were driven with a vibration piling hammer to reduce noise and vibration. To maintain an accurate pile line, Team Van Oord designed and installed a piling gate.